Home Arena: "Republican cycle track "Sary-Arka"
Basketball team Astana was created in March 2011 with the support from the National Welfare Fund "Samruk-Kazyna". 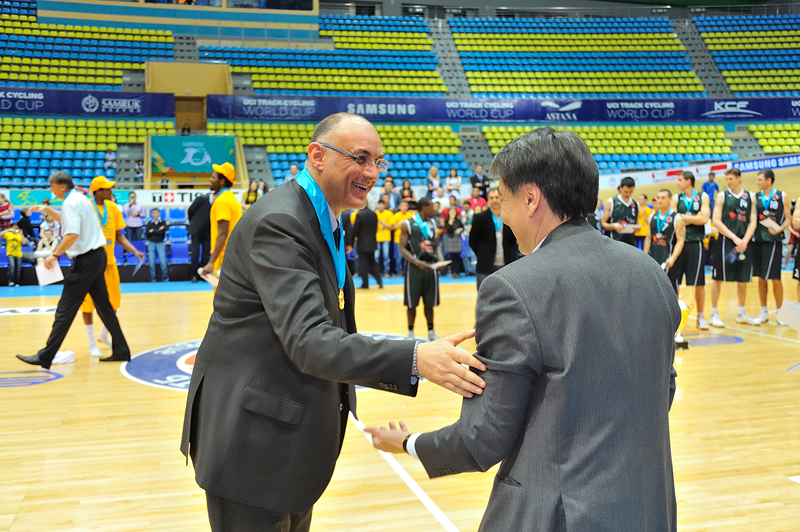 In 2013 BC Astana joined the Presidetial Professional sports club Astana. Already, BC Astana – it's a club that united a leading Kazakh players: Rustam Yargalieva, Anton Ponomarev, Dmitry Klimov, Pavel Ilyin, Rustem Murzagaliev and other well-known as well as foreign players, whose names are well known in Europe: Jerry Johnson, David Simon, Brion Rush and Branko Cvetkovic. As head coach of the club, invited the Italian specialist Matteo Boniciolli, who in 2008 was voted "Coach of the Year" in Italy. In the same year, the Italian coach won the cup "Eurocup challenge" with the club, "Avellino" and Club "Lottomatica Roma" under his leadership in 2010 came in the top 16 of Euroleague, that Kazakhstan team he led to great victories. In 2013, a new head coach beome Serbian expert Aleksandar Trifunovic, who led the team to the gplden medals of te national championship of Kazakhstan. And also stabilized the Astana in the standings and led the team to reach the playoffs VTB United League. 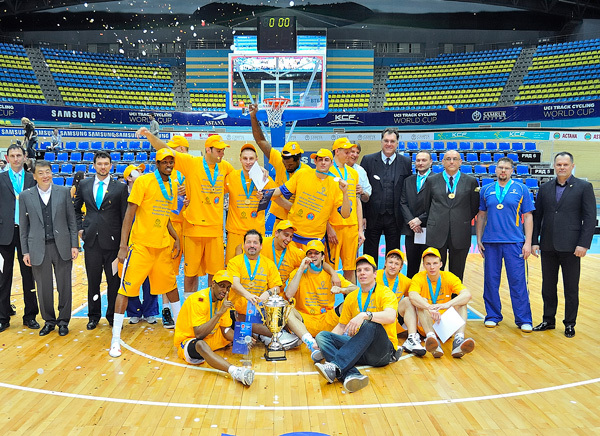 – Two-time champion of the National League RK season 2011/12, 2012/13. In a VTB league club Astana plays for two seasons, did many sensation by beating big teams, such as the giants of European basketball Lithuanian Zalgiris and Lietuvos Rytas, Ukrainian Budyvelnik, Donetsk and Azovmash Estonian Caleb, Latvian VEF, Russian Nizhny Novgorod, Red Wings and Khimki. These results should please fans of the Kazakhstani basketball and sports functionaries. For such a short period of time, the results are quite good, but that club is not going to stop. Players BC Astana have been the best in their leagues. – Rawle Marshall voted the best player of November 2011 in the VTB league, as well as the "Best Small Forward" Kazakhstan Cup 2012. 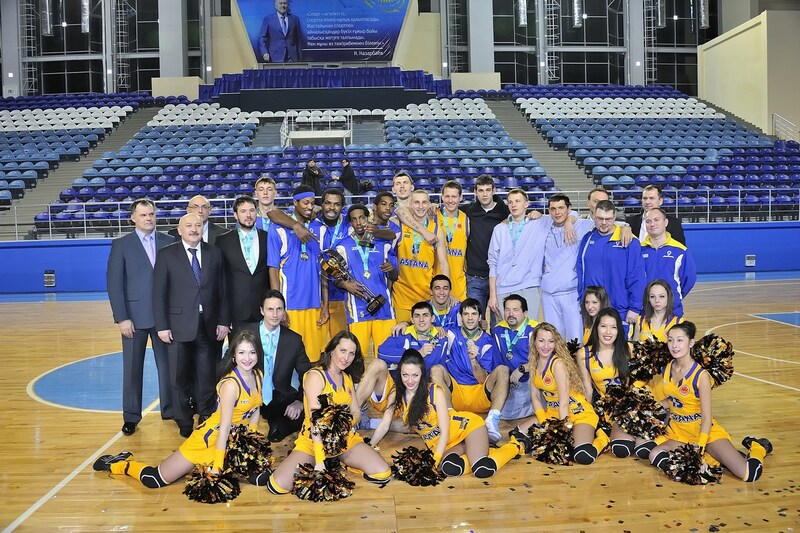 – Jerry Johnson – "The best point guard" Cup of the country in 2012 and in 2014 and the championship of Kazakhstan 2011/20112. – Rustam Yargaliev – "The best shooting guard" of Cup of Kazakhstan-2012. – Branko Cvetkovic – "The best small forward," the Kazakhstan Cup-2011, "The best shooting guard of the Kazakhstan Cup 2013." 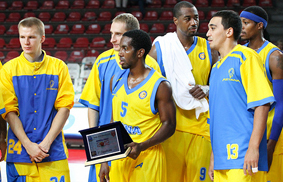 – Eric Williams' best center "of the National Cup in 2011 and the Championship of Kazakhstan 2011/2012. Anton Ponomarev, "The best heavy forward," the Kazakhstan Cup 2013 "Best Kazakhstan player" of the season 2012/13 on the recognition of the VTB United League. 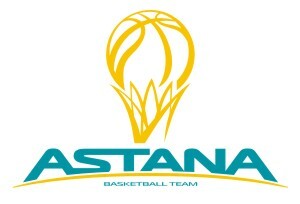 In the upcoming season of "Astana" is also committed to pleasing their fans with new, beautiful and bright victories.